More than twenty years ago, I tripped upon a word that professed to label a range of sensory experiences that had been my personal “norm” for all of my life. As a young child, I started to suspect it wasn’t everyone’s “norm” as soon as I began to receive bewildered reactions to observations such as “I know it was a number 8 because it was dark green…” yet the fact that it wasn’t a shared reality didn’t trouble me and, from the outset, I regarded it as a gift, albeit one that I learned to keep from all but my closest friends. By my twenties, I’d all but given up on finding anyone who would identify with my way of experiencing things until, by chance, I found myself staring at a notice on the Student Union ‘wanted’ board describing some of the more bizarre aspects of my sensory world and recruiting volunteers to complete a series of questionnaires for a scientific study. The word used to describe the phenomenon was ‘synaesthesia’ – and it was the first time that I’d ever heard of it. Many years have passed since those questionnaires finally trickled to halt and, in spite of a book entitled “The Man Who Tasted Shapes” sitting prominently yet largely unread on my bookshelf, I’d given synaesthesia very little thought and had hardly considered how being a synaesthete and also a ‘creative type’ might be connected other than to conclude “well an artist thinking in colour is hardly any great surprise”. When a way of perceiving your sensory world is the only one you have ever known, it tends not to seem worthy of all that much investigation and whilst I could conceive of there being benefits to ‘mixing up’ or blurring the edges between sensory experiences when you are an artist, writer or musician (which is about as basic a description of synaesthesia as I can give), I didn’t go deeply into that thought until I met another artist online just a few days ago – by the twist of fate that she thought I was another Helen White; one of those serendipitous encounters that feel like they are meant to happen. My new contact is a fellow synaesthete and her first question back to me, when I told her the coincidence, was “how does synaesthesia influence your artwork?” Now there was a question that made me take pause – having never been without it, I found I wasn’t entirely sure how it influenced anything. As I set about considering my response to a question that proved harder to get to grips with than I would have expected, and with the lid lifted off something I hadn’t ‘opened up’ since long before the internet blew our shared world wide open, I quickly came across synaesthete photographer Marcia Smilack (who presses the shutter on her camera when she experiences a synaesthetic reaction to whatever she is looking at and types her blog to the “music” of the dish washer). 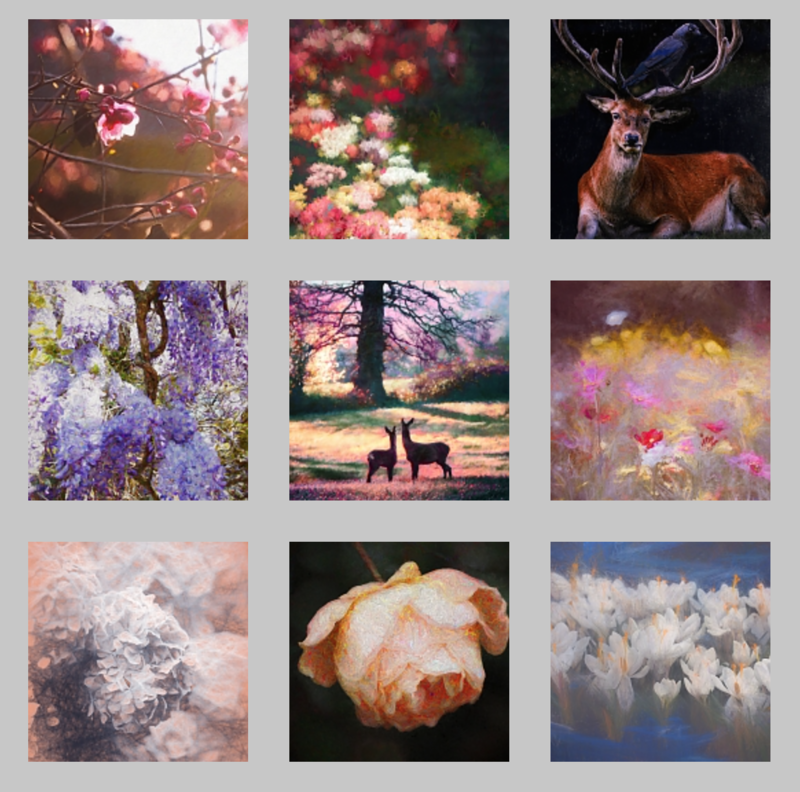 Marcia’s website is as much of a resource about synaesthesia as it is a portfolio of her work and I found it to be a mine of fascinating – and, for me, recognisable – observations on this topic as well as some new angles to consider. For instance, it had never occurred to me that the incessant use of metaphor in my thought-processes and use of language may be part of this phenomenon and yet it’s a profoundly recognisable trait of mine – something I’ve learned to weed out of my written words before it takes over the garden (there I go again) but which, fuelled with enthusiasm and a glass of wine, can leave dinner companions two hours deep in such a convoluted and thickly woven landscape of metaphor that they can lose all remembrance of what we were originally talking about. I’ve come to realise over time that my use of metaphor is much more than just a pretty tool that helps me to explain myself in a way that I find visually appealing and which will hopefully engage the listener; there is also some level at which the tackling of a conundrum within a picture-scape actually enables me to ‘solve’ the dilemma or issue I am discussing in a way that feels more complete and gives me overview that I lack within the ‘real’ landscape of life. I also find that working within many levels – the metaphorical level at which I am speaking and the ‘real’ level to which I am referring (and, sometimes, there is a sense of many other levels in between…) helps me to, somehow, check my conclusion because if it fits in both scenarios, it is more likely to feel robust. Marcia’s inclusion of metaphor, and also the personification of objects (another tendency of mine…) within the spectrum of synaesthetic traits was a door thrown open for me. A clincher for me in terms comparing my own experiences with Marcia was when I read her caption to a photo of dome-shaped ripples on the surface of water – “This image elicits no sound and I think I know why…” – and found myself finishing her sentence in my mind with “because all the edges are sealed, sound can’t escape”. It’s exactly the kind of passing of observation that my husband – or indeed anyone who knows me quite well – is used to greeting with a smiling, if verging on patronising, roll of the eyes. I also note that I share Marcia’s love of taking the kind of close-up photographs of nature that celebrate the abstract, one’s which attempt to capture the effect of nature’s symphony – wind, current, vibration – on the surface of water or through grass and leaves – and with reflections of all kinds. To be honest, and perhaps not surprisingly for a visual artist, most of my synaesthetic traits involve the association of colour with letters, numbers and language, something which helped enormously when having to remember all those history dates at school. As an off-shoot of the fact letters have colour, words take on the colour dominance that results from their letter-construct and so, again, this has helped enormously with recollection of complicated words or people’s names across the whole of my life. I remained less aware of any auditory associations that I was making for many years; that is, until I started to notice the profound effect of what I was listening to (music or even spoken material because, for me, words can conjure up a river of colour and texture) upon the outcome of a painting. Looking backwards from that point, I see that a very pronounced trait that I have of associating music with memory or, more exactly, a whole gamut of multi-sensory experience, has always been there for me and runs far deeper than just connecting a particular pop song from 1984 with a memory of being 16. I’ve been able to play with the phenomenon all my life, am able to conjure up great swathes of sensory experience by listening to the appropriate music, generating certain aromas and, generally, playing with props in my sensory environment and, when I do this successfully, it’s not just like remembering something in the past, it’s like going there at some level. When I play with synaesthesia in a conscious, intentional way, the outcome can be fun and enjoyable. On the other side of the coin, unexpectedly triggered sensations resulting from the more accidental auditory or olfactory occurrences in our world can manifest as something verging on an assault – ranging from a circumstantially disproportionate wave of emotion that virtually knocks me off my feet to a kind of nondescript sensation of abrasiveness or vague prickle of discomfort – yet cross-sensory in a way that it seems to have nothing to do with volume or smell-preference. My husband has become quite adept at reading the unspoken signal to quickly turn off particular music or put away an aftershave which, in another season, causes no offence to me whatsoever (did I mention that the response I have can depend entirely upon its coinciding with one or a number of chronomic waymarkers so that music or smell that is utterly intolerable in one season becomes my new favourite thing in another…). I admit, I am one of those people who assigns meaning to objects, associates complex memory with a chord of music or a whiff of perfume and yet, more times than I can say, the sensory associations that occur through synaesthesia do not feel like they derive from this life journey but are, rather, the remembrance or re-experiencing of a connection between two sensations that was ‘wired’ in another time or place. I can so easily interchange a taste with a colour or tactile description, or describe a tactile or emotional experience in terms of colour or shape, that it holds no novelty value for me whatsoever and yet I find I am now enjoying reading about other synaesthetes’ experiences. In all the years I’d not bothered to join a society or club consisting of other synaesthetes, I had underestimated the singular pleasure to be experienced from, at last, hearing something like the following account of her reaction to music shared by my new artist contact earlier this week. She describes how the middle eight on particular piece of music causes anxiety/low panic for her every time she hears it so that, although she loves the song, she has to turn it down during those parts or leave the room and certainly can’t listen while driving. Yes, I have a variety of such trigger points but how often do you hear somebody else say things like that? One of the most abstract yet profound of my triggers is what is affectionately referred to by those in the know as ‘my September thing’, an association between the very concept of that month with a particularly malevolent and gut-turning smell, a persistent feeling of anxiety and a certain hue (like a blanket suddenly draped across summer’s vibrancy) of whitish-grey, quite regardless of the fact that a veritably Indian summer may be continuing to paint the world in shades of golden outside my window; this has nothing whatsoever to do with what my eyes are telling me, it is a distinctly ‘felt’ experience of a concept in time. My reaction to ‘September-ness’ became such a stumbling block in my path, triggering off a profound nose-dive in my health every year, that it became a project to be worked on – with some success – so that I’m happy to declare that I actively enjoyed September for the first time at the age of 44. I should add, I have a complex and profoundly intimate relationship with light and suspect that a subtle yet – to me – distinctly noticeable shortening of the daylight hours has some part to play in what can feel like a physical assault at that particular time of the year. I can always ‘feel’ a change in the very atmosphere of my days as soon the summer solstice has been passed, even though the measurable difference in daylight hours is so minute as to be negligible, and a grasp of the significant ways in which circadian, lunar and other natural rhythms impact upon my experience of life has been quite pivotal as I’ve worked on creating better health for myself in recent times. So perhaps this is just super-sensitivity at play, a spin-off from being empathic, which I certainly am to a very large degree. In a recent session with an energy intuitive, I was told that many people are sensitive but I take it to a whole new level: in his words, I could “probably step into a forest and feel everything that was going on there!” Its the kind of sensitivity where you can feel a vibe from the other side of the world, something I had already demonstrated by knowing down to the nearest minute when he was pressing ‘send’ on an email to me, even though I wasn’t there to look at my inbox until a hour or so later. I’m tremendously good at that ‘knowing somebody is about to call’ thing. Yet, hard to say as it is from the perspective of having always been a synaesthete so having no other point of comparison but, my feeling is that this is something more than high-sensitivity, though not completely unrelated. Indeed, the last time I gave synaesthesia any thought at all was when I started getting somewhere with meditation, a couple of years ago, and experienced the kind of blurring of the edges of all the usual sensory modalities that we use to define our world that enabled me to recognise the similarity with aspects of my synaesthesia. Again, as (I’ve commented before) painting and even writing are activities that take me into the same void that is the destination of the most satisfying moments in meditation, I can see how all of these areas of interconnected. That void reached through meditation, the zero point at the core of everything, the same empty space within our DNA that used to be considered empty nothingness or ‘junk’ but which scientists are now coming to understand is the most significant part of everything, a vacuum that responds to vibration (music and even language) in such a way that many new health modalities (see NES Health and ‘Decoding the Human Body-Field’) are already spinning off from our very first attempts to understand it…all of these are one and the same ‘thing’, the part of experience that defies definition and shuns precise sensory encounter or – perhaps – merges all of our varied sensory encounters together in a ‘full-spectrum’ experience of the all-of-everything. My feeling is that synaesthesia is something that is getting very close to bringing this zero point way of ‘experiencing’ into physical life here on earth where the only way that void (call it Source, Oneness, God…) can know itself, feel itself, define itself, is through the experiencing of itself via the instrument of the physical senses. So, let me ask, if you were set the task, the conundrum, of working out who and what you were from the starting point of not having a clue, and had been left a pile of ‘instruments’ to do this with, would you just use one or two of them at a time, follow the instructions on the box and stick to well-trodden paths of enquiry, or would you get experimental, attempt new things, try putting them all together, take the instruments apart and rebuild them in new and interesting ways to see if that helped? Hmm? Some synaesthetes experience sound most profoundly as shapes and textures; soft or hard shapes, sharp-like-a-dagger shapes. For as long as I can recall, I have periodically experienced a wave of emotion that makes the inside of my head feel like ‘a hurty-sponge’ (this experience goes back so far in my life that it is still couched in the language of childhood; yet the description holds true). I fail to grasp why any of this would seem at all bizarre to anyone who has encountered Dr Emoto‘s water crystal experiments in which he demonstrates the very profound effect of sound, including language, upon the molecular structure of water. Given that our human bodies are comprised of around 70% water, surely all the synaesthete is doing is tapping into, and then expressing as best they can, their awareness of a vibrational reaction that is taking place at the deep cellular level, they are ‘seeing’ and doing their best to translate into words the most inner workings of their physical bodies. As we come to terms with the fact that all of our experience can be boiled-down to a level where it is, fundamentally and overarchingly, a vibrational encounter with a world of physical stimuli, regardless of the particular filter – ears, eyes, nose, mouth or fingers – through which it ‘came in’ to our awareness, then a synaesthetic approach to reading those vibrations has to be entertained as a more inclusive, more evolved or suped-up way of deciphering those vibrations. The reason why synaesthesia is considered anything unusual is that, for most people – so I am lead to believe – the physical senses are relatively compartmentalised whereas the synaesthetic experience is to break down one or more compartments to allow overlap. In my own terms – how I have come to regard synaesthesia – it is a literal ‘keeping of one foot in both camps’, a ‘best of both worlds’ scenario; fluid enough, or sufficiently ‘in the flow’, in terms of absence of definition, to bring spiritual experience ‘down here’ within the realms of physicality. So why do only a proportion of people have it (the estimate for the UK is less than 5% although any attempt at figurework is mere speculation since its presumed that many cases – if not most in some corners of the world – remain unreported)? Well, my gut feeling is that the number of people experiencing synaesthesia is on the ‘up’ and will increase exponentially as we evolve through these consciousness-expanding times and, indeed, The Synaesthesia Project based in Boston confirms this upward trend, although this could be due, in part, to more people having access to the information that enables them to recognise and so label the traits in themselves. On the basis that the synaesthetic approach to experience is fundamentally ‘creative’, ‘fun’ and ‘progressive’, that it is already feeding innovative new experience back to that immense accumulation of experience that is our shared or universal consciousness and considering how this pooling of experience then impacts upon the ‘new’ broader experience that spirals out of that – I refer you to Rupert Sheldrake’s theory of morphic resonance – I honestly feel that synaesthesia will become part of the new and expanded ‘norm’ in times to come. So, does synaesthesia have any useful applications? Well, one that springs to mind and which came into its own, for me, as I undertook a variety of energy-based healing modalities over the past few years, is that the ability to apply colour, texture, shape or even smell to an awareness of an emotion, physical ailment or energy blockage (in my experience, these are one and the same) makes the shifting and dispersal of these ‘a piece of cake’ and I have undergone many sessions of BodyTalk, for instance, in which I have successfully worked with the therapist to transport an energetic malady (graphically visualised as, say, an amorphous green and yellow shape with smooth sides…) from wherever it is localised and into the void adjacent to my diaphragm from where it can be processed and released by the body’s own digestion mechanism. Likewise, an ability to visualise (in such a multi-sensory way that the body treats it as ‘real’) an experience of grounding energy being drawn into the body from the earth, of light coursing through the chakras or a full body immersion in a pool of light is a way of establishing an inner self-healing mechanism that knows no limit and that amounts to taking back responsibility for, or at least participation in, the maintenance of our own health – which is as it should be rather than always looking to others to ‘cure’ us. As we step into an era in which we are embracing the power of the mind to energetically ‘work on’ health issues, including the so-called biggies such as cancerous tumours, this promises to be a potent skill set to develop (more instinctive for some than for others yet, I believe, one that can be worked upon and encouraged). I have already had my own small triumphs in this area, including full recovery from a case of having so many verrucas to the soles of my feet that I was told I would never be fully rid of them, yet this was achieved by simply averting my gaze from the visual reality that told me they were still there and, instead, concentrating my thoughts upon a mental visualisation – that included colour, texture – of soft healthy skin. After just a few weeks – voilà – the verrucas were all gone and have never returned. I use similar visualisation techniques to rebalance my health all the time these days and do this in preference to taking any kind of medication, which is always my last resort. In artistic terms, synaesthesia feels like tipping out all of the materials from the ‘art cupboard’ and mixing them up, using them all at the same time, no holds barred. I don’t know any different but, from my perspective, it’s just so much fun. The way life is supposed to be! 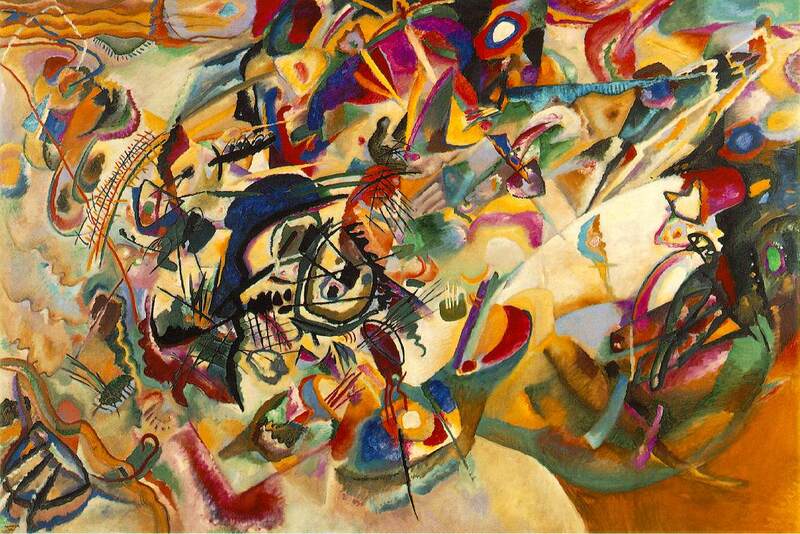 As an artist, I would certainly say its a useful trait to have and I’m not alone in discovering that: artists and musicians with synaesthesia have included Kandinsky (see image), Rimsky-Korsakov, Carol Steen, Linda Perhacs (see footnote), David Hockney and, some have suggested, Monet. So, maybe this is just something a soul decides to do when it’s been here in physicality many many times and has done it all before with all the experiential compartments still in place. This time around the block, the soul thinks “enough already, I’m getting bored, what if I stir in a bit of sound with a bit of colour, take the wall down between certain musical notes and the taste of sausages (and believe me, some synaesthetes experience this kind of thing…), that should be fun…” and off it goes on an experiential adventure. On the premise that when a soul comes into physicality, its remembrance of its eternal self, the fact it is a fully-functioning fragment of ‘the all that is’, is effectively scrubbed or at least veiled so that it can set off (once again) on the life-adventure of remembering itself, perhaps this time around the synaesthete’s soul decides it can’t be doing with completely forgetting that, at source, there is no fragmentation, no duality and so holds onto a flavour of this by keeping some of the compartmentalisation at bay, allowing some of the sensory experiences to remain interchangeable, perhaps under the justification that it would be a useful attribute to have on the forthcoming road-trip as an artist, musician, spiritual teacher or whatever activity they have set upon as a means to experiencing their bliss in this particular lifetime. For me, there is a very strong correlation between the mixing up of my sensory experiences with ‘bliss’ – similar to the way that painting and bliss are well-acquainted bedfellows – and that tells me that it takes me one step closer to the divine, as does my absolute fascination with light. As a painter of light, a seeker of light, I can see how synaesthesia would have held particular appeal to the I Am that is currently expressing itself as me as it embarked upon this particular life journey. Experientially, light is encountered at so many levels and most profoundly at the energetic level so here I am, quite determined not just to convey an impression of light – a ‘picture’ of it – but to incorporate something of the very energy and vibration of light into my paintings, something which is so aspirational ‘out-there’ that I can see why I might call upon synaesthesia to help me on my way. Light is clarity, light is seeing the I Am at the centre of everything, that there is no duality and that even the dark has light; that the separation (just like our hard-defined five senses) is only here in this physicality so that we can play, have fun, with our life experiences. These senses allow for the very experience of duality – hot/cold, sweet/sour, soft/sharp – that is our playground of self-discovery as our physical selves. Like the great stillness the can be found amidst chaos, our creator powers lie (quite literally) at the very centre of our perception, within the very void at the heart of all matter – something that even scientists are starting to catch up on as quantum physics teaches us that perception alters experience – and so, given that we are just starting to get to grips with the fact that the way we experience life through the use of our senses, quite literally, creates our reality like brushstrokes on the canvas of life, it seems fairly obvious that the more colours we have at our disposal (sorry, back into metaphor again), the more possibilities we open up for ourselves. Whether we realise it or not, we each get to create our own reality by playing with our experiences and, whilst all those individuated experiences and the inherent contrast merge together into the Oneness that incorporates every flavour, colour, emotion, all the extremes of everything that can be, has been and ever will be, in our individuated form we don’t all experience the same things in the same way at all; far from it. This is because everything we ever experience passes through a complex filter of perception that is the product of many lifetimes of experience, much cultural programming and a whole set of beliefs that are the inherited, learned or self-created baggage of our life to date. Yet – by expanding our consciousness, questioning beliefs and incorporating as many perspectives as possible – we gain ever more access to the Source point of view. Just as an experience of a rose would be somewhat limited if it was only felt, seen or smelt, a more complete experience of it would be achieved as a result of the combined effort of all of these sensory modalities, a truly multi-perspective approach which somehow contributes a further, almost indefinable, element to the overall ‘mix’ as though, by combining more than one sensory modality, a whole other level is unlocked and the overall experience of the rose is somehow amplified, becomes more than just the sum of its parts. Experienced in multiple ways, our awareness of the rose seems to step closer towards its essential essence in a way that starts to defy description and yet which, in the border territory between its tangible and yet almost intangible self, can be so exquisite as to feel something like a spiritual ‘experience’ here on earth. In their singular selves, each of the five senses can seem somewhat limited and, in the experience of some things – love for instance – where would we even start to describe its essence by means of touch, taste, smell; it is in the fuzzy-edged, multi-sensory experience of love that we start to get somewhere and attempts at breaking it back down into the sum of its parts in order to describe it get absolutely nowhere . Put simply, love is made up of all feelings; humanity has tried and failed to define love by means of the five senses for as long as we have been here on the earth plane and yet there always remains something else, an intangible quality, that lies far beyond all of these attempts at defining (writing poetry) about love because it is, quite literally, a composite of every feeling that there is – yes, even the dark ones – just as white is made up of all colours. The closer we get to love, the closer we get to light, the closer we are getting to source. I have felt for some time now that I am on such a journey and the very fluid, flowing all-inclusiveness and veering towards Oneness of synaesthesia is a great skill-set to bring to that. To finish, here’s a final trait of mine that I have always felt to be deeply connected with my synaesthesia but which, given I have always struggled to gain any foothold when it comes to explaining this, I had decided not to even try…until another serendipitous stroke lead me to read the preface to a book last night that described an experience that was so startling close to what I was struggling to convey that it completely changed my mind. Here goes. Now, if this was a concept of time that began for me as a young-adult or even school-age child, I could entertain the possibility that it was the product of an inventive mind but the fact that I have regarded time in this exact way since since before I could even read or count to 100 tells me I was born with this; I brought it in with me. When my first attempts at explaining ‘which way I was travelling’ in a particular year elicited raised eye brows and a firm ‘hmmm’ from my parents, I decided to keep it to myself and it was never really mentioned for years. During my university days, in all the camaraderie of many evenings spent exploring expansive topics, I dived in to explain this phenomenon again but was generally met with embarrassed laughter or looks of blank incomprehension. Then more recently, when I stepped into the realm of hypnotic therapy and NLP and was asked to imagine my lifeline like a long washing line stretching far into my past and onwards into my future, then to visualise moving along this time line to effect changes in my story, I hit an immediate stumbling block because my version of time would have taken me, instead, on a helter-skelter ride downwards or on a spiral staircase coiling up, neither of which ‘fit’ with the standard exercise being described! There was even a point, in the midst of chronic health issues and desperation to explore all possible ways of breaking the track-record of my life and starting afresh, that I set a New Year’s resolution to train my mind to see time as a linear thing ‘like everyone else’…but before I was even a week into January, it had become an aborted experiment as I realised that I simply can’t visualise time any other way! “What I knew was that this process of assembly was going to be a second ‘amplification’ pass through the material which was shown to me as being like a spiral in the sense of a coiled spring – as you follow the coil you follow the same circle, but with each pass being elevated above the last’. As I read this, it was as though my heart literally skipped in the way that you would if, as the long-time solitary resident of a desert island, you spied another person waking along the beach. Here was Story Waters describing my version of time and, whilst he refers here to a new and coherent method of conveying (what would you call ‘The Bridge of Consciousness’ ?) a body of experience, accumulated knowledge, my first thought is, what is time itself if not both of those things? I have come to believe that linear time is an illusion in any case so, in ‘designing’ my vision of what was to become my very own accumulation or body of experience in this life-journey, could I not have struck upon this same overlaid spiral design for the same purposes of coherence, comparison and gently paced elevation that made it the ideal structure for ‘The Bridge of Consciousness’; for indeed what is my own or anyone’s life if it is not a bridge of consciousness, a direct link between the spiritual and the physical, in action, especially right now as we come into our awareness of it as never before. The other fascination for me – one that struck me over a year ago when reading Gregg Braden’s books ignited my fascination with fractals – is that the way I ‘see’ time mirrors the structure of DNA strands and indeed the very Golden Ratio that lies at the heart of all known matter in the universe. 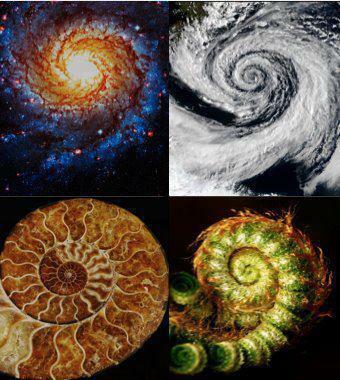 In his book ‘Fractal Time’, Braden outlines his theory that the past is a blueprint for the future and that this blueprint can be understood in terms of the fractal with each event in history self-replicating according to a pattern and becoming, with each replication, a more powerful amplified version of itself until an evolutionary leap acts to transmute the circle into a spiral that, with its offshooting tail, takes the experience up to a whole new level. His belief is that man can decode the future by identifying key events in the past and recognizing the patterns that project the same events into the future. By comparing these cycles, laying them out as an organised pattern so that we can see them and pluck out the themes, we start to detect the ‘stuck’ elements in that pattern that are holding us back – keeping us going around and around in a circle rather than spiralling upwards – and so, all the more swiftly, can choose the evolutionary leap out of that stuck-state. In essence, this is what I’ve been doing all my life, what we are all doing at some level whether we consciously realise it or not – yet I can’t help wondering whether it is some extremely welcome and useful aspect of my synaesthesia that enables me to visualise the very spiral of my life journey as it takes shape (rather than a flattish line leading from nowhere to nowhere that is one of an infinite number of alternatives) – in order to gain a literal, tangible sense of moving upwards, processing through the layers of my journey as I travel along what is, for all of us, an evolutionary path. Scouring the internet, I found a collection of drawings of other people’s visualisations of time – many are symbolic rather than representational but a couple are circular; none in this collection seems to be grouped in pairs yet this is the design feature that I most appreciate the perfection of, affording me a better sense of progression, of making headway, than just starting over the circle at the beginning of each new year and also enabling me to recall when something happened with great accuracy and apparent ease by narrowing down the options by which the direction I was ‘facing’ on my spiral when it occurred (perhaps I just knew I would have a terrible memory for dates and would need all the help I could get…) The very concrete way in which I ‘see’ my time-spiral and the amount of forethought that seems to have gone into it tell me that there is no way I could have masterminded this at the age of four; I drew this up before I got here! My daughter loves to exclaim “I’m visual, I need to see things before I fully understand them” whenever she hits a learning block and so maybe that was the case for me too – so much so that part of my contract on coming into physicality this time was to be provided with a kind of sensory GPS that would enable me keep on track, to watch myself progressing in a way that felt tangible, expressed in the ‘language’ of physicality, as I was going along. Like an avatar in a computer game, my feeling is that we all get to choose the basic kit, the ‘special abilities’ that we bring into this life, a selection of hand-picked features that we anticipate might be of particular use in the next level of the game. For all the reasons I have given and the many more that I am yet to unlock through experience, synaesthesia was most probably at the top of my list. Other than that, there is no grand conclusion to this post, its just an opportunity to share some of these traits with anyone else who is interested or to whom they sound even slightly familiar; all just “food for thought” – and there’s a truly synaesthetic phrase if ever I heard one! As a newly ‘outed’ synaesthete I would love to receive feedback from anyone who identifies with any of the experiences I have shared or who would like to add their own. I appreciate that its unlikely that I am the only person – probably far from it – to experience time as a version of a spiral and that there will be many (my husband amongst them) who don’t ‘see’ anything at all when they think of time and so wonder what on earth I am talking about! 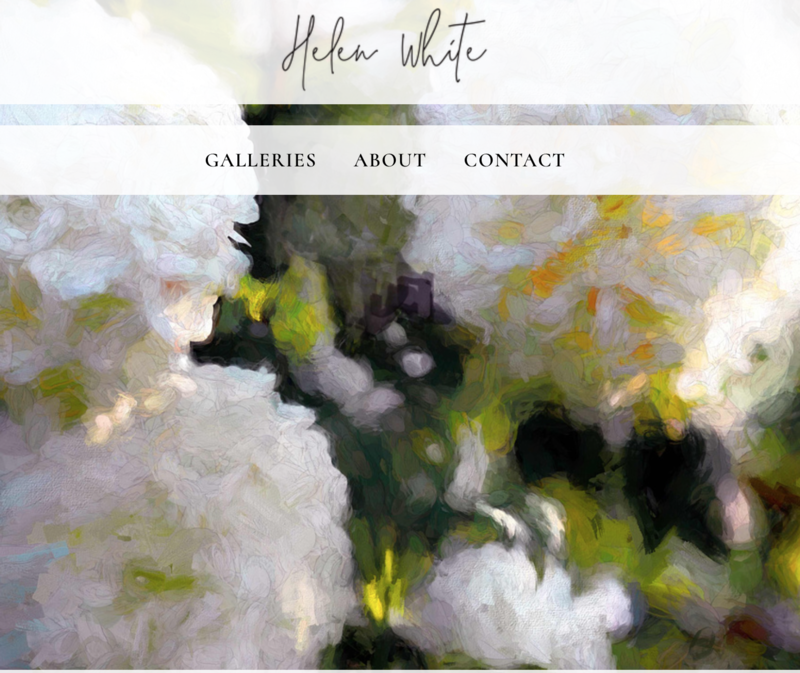 If spiral or coiling time is your experience, I would particularly love to hear from you and invite you to comment here or make contact via www.helenwhite.org. Reading this, I’m newly enlightened as to why I was so attracted to Perhacs from my very first encounter of her, in the form of the track “Morning Colors” which made it straight into my playlist of notables. I’m sharing the demo version of “Chimucan Rain” above (there is a also a more pristine studio version out there) because I love the integration of the rain and windchime sounds into the very fabric of the music. It captures something of how the weather, light quality, (yes) windchimes outside my window and other, more subtle, sensory experiences that I am having at the time feed into what I am expressing as I paint…in fact, reason I dipped into Perhacs today was that I had set out to create a playlist to compliment the act of painting and, as ever, it was “throw it all together multi-sensory” music likes hers that I felt particularly drawn to. It seems Perhacs, and her now considered “forgotten classic” album received little to no attention at the time of release yet have continued to speak to a whole new generation of appreciators and – most likely including – a great many synaesthetes, like me! This entry was posted in Art, Art technique, Consciousness & evolution, Health & wellbeing, Meditation, Personal Development, Spirituality and tagged DNA programmed by sound, energy matrix, fractals, full-spectrum, Gregg Braden, Linda Perhacs, love, self-healing, spiral time, Story Waters, symbolic journeys, synaesthesia, The Man Who Tasted Shapes, timeline, visualization in healing, visualizing time. Bookmark the permalink. Wow Helen, I can hardly begin to comment on this post. I recently read a novel that featured a synaesthete (can’t for the life of me remember what it was called), so I was familiar with the concept, but your thoughts here are so complex, there’s much food for thought. I imagine it’s both a thrilling and at times very challenging way to be. Thanks so much for commenting, I love hearing about the other forms that synaesthesia take, there are so many combinations of sensory experience with interesting outcomes. Yes, I think I became very closed off about discussing it too because the few attempts I made didnt get anywhere or made me feel exposed somehow but am ready to embrace it now as the gift that it is. I think the whole meditation experience and oneness perspective has helped me see that its actually getting closer to optimum use of the senses and not a handicap at all (unless you let it – all matter of perspective, which we choose). So glad you have shared and look forward to reading your post when you’ve put it up. You have explored your theme in a very interesting way. Thanks Louis, glad you enjoyed it; it was uniquely enjoyable to write; think at some level I’d been planning that piece all my life! I don’t see time as a spiral but do have a clearly defined, very colourful number line. My numbers follow a linear trail until number 20 whereupon they take a sharp left hand turn, then carry on in a slightly uphill fashion until we get to 120 – and so on…. so maybe this in itself is a rather loose spiral pattern. As I work in a school I live in hope that I may find a young synaesthete but it’s not the sort of question one can ask a class of children and expect to get an honest answer – either a real synaesthete will be unwilling to divulge such a talent or I’d get thirty positive responses just because it sounds so cool! Hi Jenny, I’m so pleased you found your way to my post (via the lovely Andrea who quite often directs people to my strange ramblings), I’ve read you post and the way we see colours and then blend them, for instance when there’s a number combined with a month, is so very similar! And I’m really intrigued by your numbers going to 20 and then turning and going up an incline; I find I want to imagine the zoomed-out view of that to look like a sort of DNA spiral with its ladder bars but I don’t want to over-embellish your way of seeing things, I’m just so intrigued as I wonder what set it up that way for you. I spent a lot of time, at one point, wondering if early influences had ‘coloured’ my letter and alphabet system, eg. had I played with fridge magnets or other toy,as a very young child, that set up my colour associations…but I came to the conclusion that I don’t think it was anything learned in this life…All very fascinating but, as you say, strangely normal too…and as your story about your son’s teacher reminds us, who’s to say what is normal anyway (and hats to those who realise that, especially in the teaching profession). Thanks so much for making contact! It’s a pleasure – I’ll be popping over every now and then from now on!